If it seems like sometimes your gun just isn't shooting right, there's a couple things you can check. First, did you start dialing in with your 100 yd zero? Sometimes, this is all it takes to get back to shooting like you and your gun know you can. Always start and end you session with setting your scope back to the 100 yd zero. Second, do a quick equipment inspection and make sure nothing is loose. On the video above, the screws were loose on the scope mount and the scope moved. This of course affected our accuracy. These two quick things can save you a lot of frustration. Left hand, left eye. Right Hand, right eye. Even with handguns! In this video I explain why you should practice changing eyes when switching hands, even with a handgun. For the full scoop, members of the Full Spectrum Warrior can check out the Combat Mobility System Video on ambidextrous shooting. If you would like to become a Full Spectrum Warrior, you can check it out here. In this video Rich discusses the tactical AR-15 flip and movement in relation to combat effectiveness. Rich discusses team movement and bounding in this video. Quick disclaimer, this is A TACTIC and not THE TACTIC. In this demonstration, you are creating distance both from the threat and from each other to create a crossfire situation. In this video, Rich Graham discusses using natural point of aim in long range shooting. For more videos on long range shooting, become a member of Full Spectrum Warrior today. This video is the first installment of the three part Nauka Introduction and Strike Series on the FSW Membership. Rich discusses Nauka, where it originated, mindset, and the liquid guard and how its different than sport fighting. Members of FSW have access to this three part series as well as the rest of the Nauka Strikes and Drills videos. Watch and learn as Rich provides some knowledge about how to draw less attention to yourself as a concealed carry holder and what to look for in others. Deciding you want to conceal carry a firearm is step one. Step two is figuring out which firearm is going to work best for you over a variety of situations. Before we get started, let me lead with an important disclaimer. Newsflash: One gun will simply not work perfectly for every body type, in every climate, or for every situation. 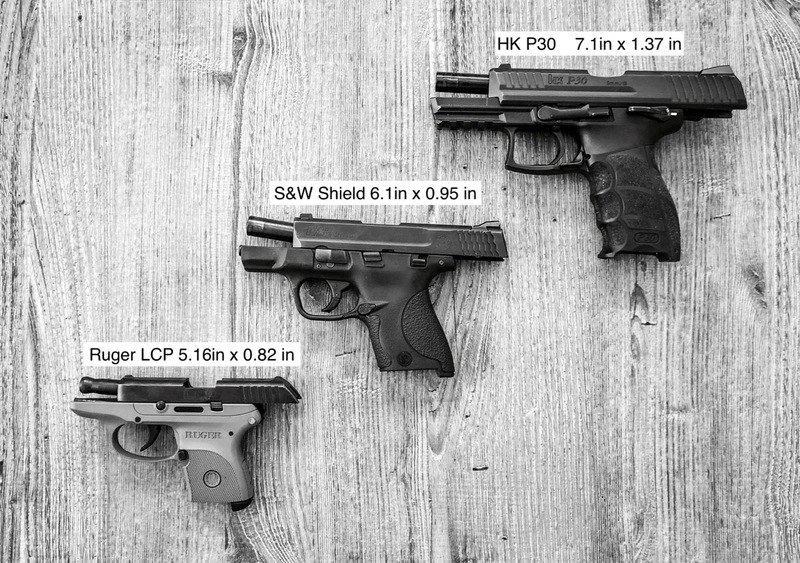 One gun is definitely better than no gun at all, but to be honest, a well-rounded CCW holder has a variety of guns for a variety of concealed carry purposes. When deciding which gun to purchase for your CCW, it is important to embrace the fact that you aren’t searching for the best brand of gun but the best weapon for you. NAUKA FIGHTING SYSTEM COMING SOON!! What fighting system does Rich Graham use? What does he think is the best system for learning quickly and using effectively without years in the gym or dojo? The NAUKA fighting system is quick to learn the fundamentals, and devastatingly effective. Join Full Spectrum Warrior today and get access to this and much much more. And until the end of 2018, you can get 50% off ... FOREVER!!! Just use the code GIFT50 at checkout and you are all set. Don't miss out, ENROLL TODAY!! Rich brings you useful Tactical Tips that can be applied if you are in the military, or just enjoy being ready to defend yourself. Everything from how to best tie your boots to painting a rifle or pistol to how to pack a back pack. Don't see the tactical tip you want to know about, send Rich a message so we can add it to the list. From now until the end of the year, you can get all of this awesome information for 50% off...and if you stay active on your membership, you will keep this discount FOREVER!!! Use code GIFT50 at checkout through midnight on 31 December 2018.